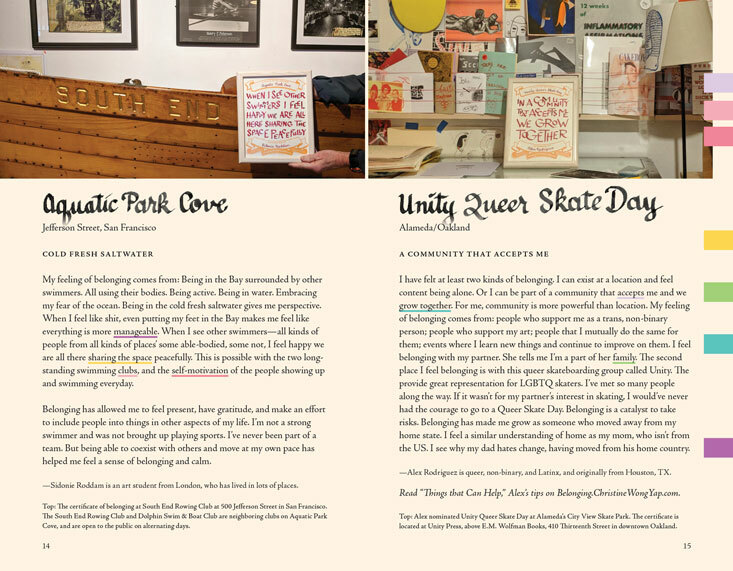 One hundred contributors share their stories of belonging in the San Francisco Bay Area. Hear from an Iranian American who felt at home in the bohemian spirit of North Beach; Chinese dissidents grateful for the rule of law and clean air in Fremont; and a resident who volunteered during the wildfires in Santa Rosa. 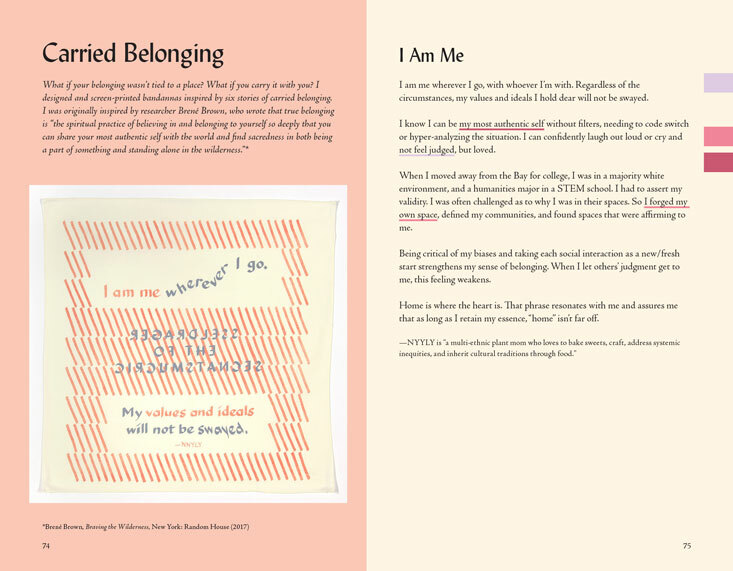 More contributors share how they carry their sense of belonging with them, by knowing who they are, or finding a deep sense of awe or interconnectedness. Each story highlights certain qualities of belonging, such as autonomy, safety, meaning, self-worth, and well-being. 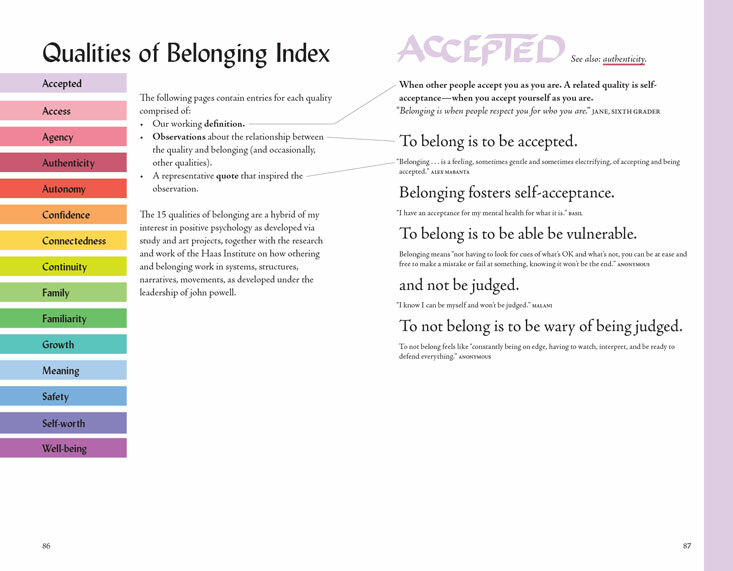 Fifteen of these qualities appear in a color-coded index with findings. 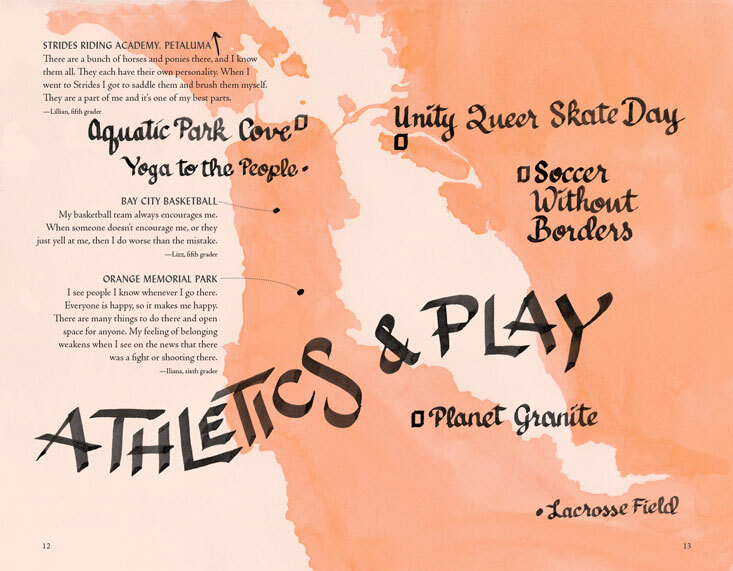 The stories are complemented with artworks by Christine Wong Yap: nine maps of places of belonging (organized by nature, athletics and play, arts and culture, neighborhoods, learning and working, faith and healing, homes and housing), 25 hand-lettered certificates, and six hand-printed bandannas. 116 pages in full color, edited and designed by the artist. Available via Paypal or credit card. $25 + $3 postage within the US. Contributors to the book receive a complimentary copy, and for additional copies, a discounted price of $15 per book + $3 postage & handling within the US. For international orders, or bulk or multiple orders, email . 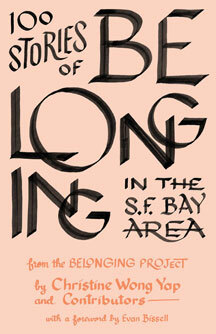 Also available at Wolfman Books, 410 13th Street, Oakland, CA, 94612.